The Kershaw Shotgun Shell knife model 12GAD is sure to appeal to your whimsical side. The sturdy, dependable Kershaw quality will quiet that annoying voice that is always telling you to be practical. 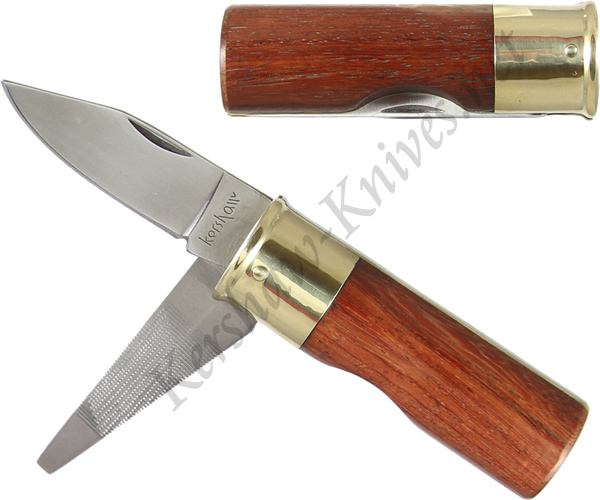 The handle is rosewood with a brass bolster that forms the shell cap. AUS6A stainless steel is used for the 2 inch blade and mail file. Opening the blade is accomplished with the use of a traditional nail nick.